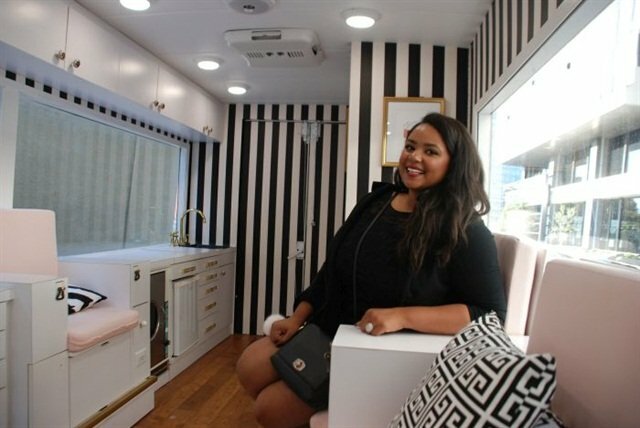 Busy stylish women (and men) in downtown Los Angeles can at least make sure their nails are always in perfect shape thanks to a new mobile salon service. 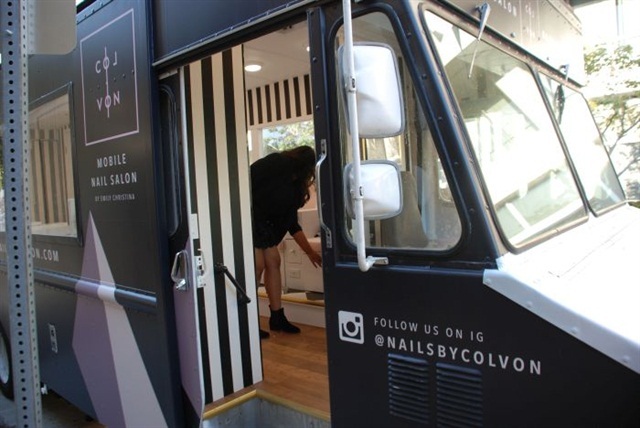 Nails By Colvon is the world’s cutest truck, tricked out in custom graphics, six manicure/pedicure stations, built-in autoclave, HVAC, and an interior palette of black, white, pink, and gold. 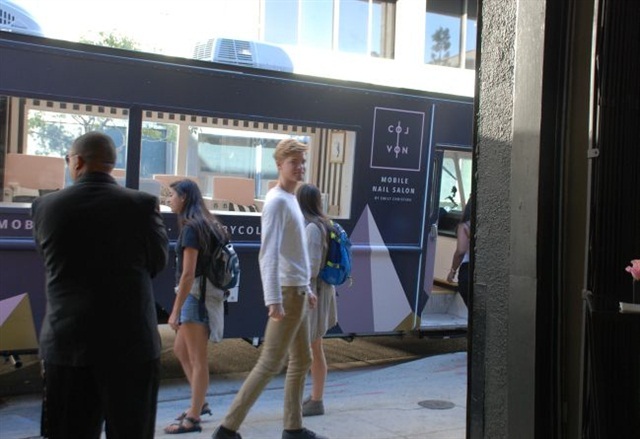 Best of all, Colvon is mobile. “We go where we’re needed,” says Emily Christina, founder. The idea is to partner with companies and residential complexes that will offer memberships to employees and residents. 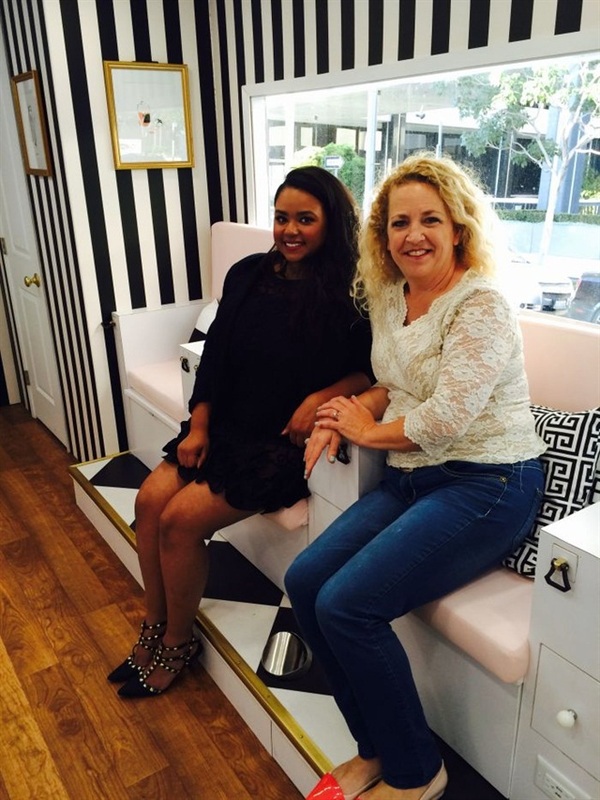 This weekend, Christina invited NAILS to attend a launch party. 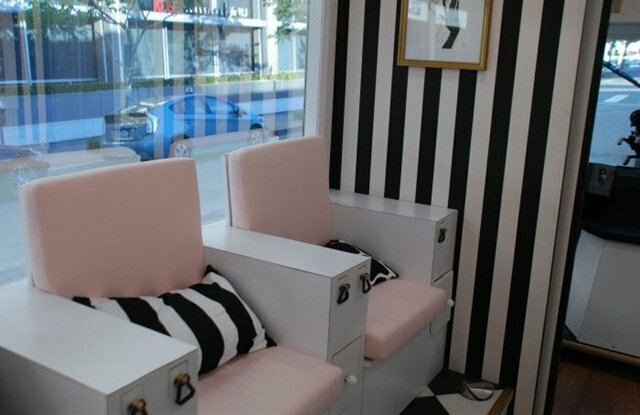 She’s assembled a team of nail artists who will offer a full menu of services including manicures, pedicures (traditional and gel), full sets, soak-off, and of course nail art. Members can make appointments and earn points toward free services. Walk-ins are also welcome.